In 1896, Leslie Cheek and Mabel Wood married in Clarksville, Tennessee. The pair had met only a few years earlier on a train to Nashville from New York, and it has been said Leslie bribed a porter with a box of cigars to find out the name of the beautiful young Mabel. 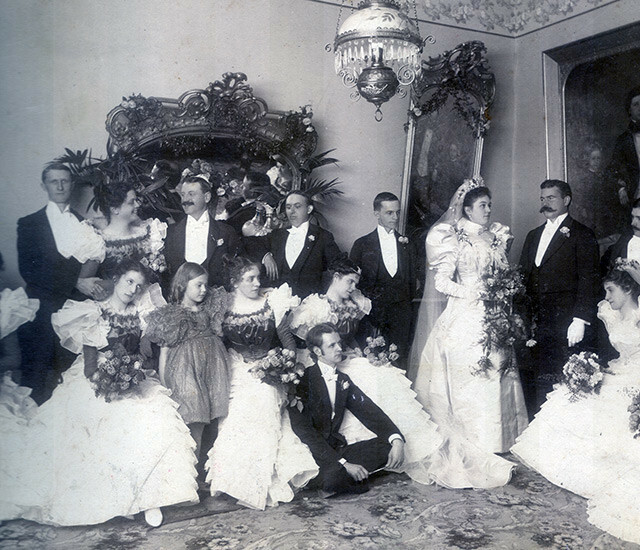 Following their nuptials, the new Mr. and Mrs. Cheek settled in Nashville and Leslie worked his family’s company, C.T. Cheek & Sons—the largest wholesale grocery distribution conglomerate in the Southeast region of the United States. In addition to the education of their children being a top priority, the Cheeks also spent a good deal of time planning trips across the world. 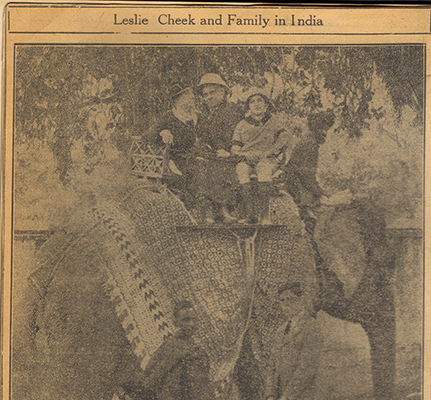 By the time Leslie Jr. was ten years old and Huldah age five, international travel became an annual routine for the entire family. After a 1919 journey to China and Japan, the Cheeks’ travel itineraries expanded, covering much of North America, South America, Europe, Africa and Asia. Cheek-Neal was created by Joel Cheek, the cousin of Leslie Sr.’s father C.T. Cheek. C.T. had been an early investor, and Leslie Sr. bought stock as well. In 1928, the Postum Company, later renamed General Foods, purchased Cheek-Neal Coffee Company for $40 million. As an investor, Leslie Sr.’s fortune quickly expanded, likely also expanding his plans for Cheekwood. In 1932, Leslie Sr., Mabel, and Mrs. Wood moved into Cheekwood. Leslie Jr., and Huldah were away at school, studying at Harvard University and Bryn Mawr College. When home for summer vacation, large, lavish parties were thrown, making headlines near and far. Leslie Sr., and Huldah kept their horses, Platinum and Rosewood, in the Cheekwood stables, and would ride frequently around the expansive estate and into the neighboring Percy Warner Park. Mabel, an avid reader and gardener, spent much of her time in the Library as well as the gardens. Leslie Jr., a promising architect and art historian, devoted his time at home in the studio is parents built for him and designing an impressive door system for the house Loggia. In 1935, Leslie Cheek, Sr. died suddenly at age 61. As his family and the surrounding community mourned the loss of a man described as, “a man who gave every casual acquaintance the impression of sincere friendship, and, to those who knew him better this friendship became a personal thing, which never lacked for proof of its reality.” Mabel, now a widow, continued to live and care for Cheekwood, taking great strides to maintain and perpetuate the home she built with her devoted husband. 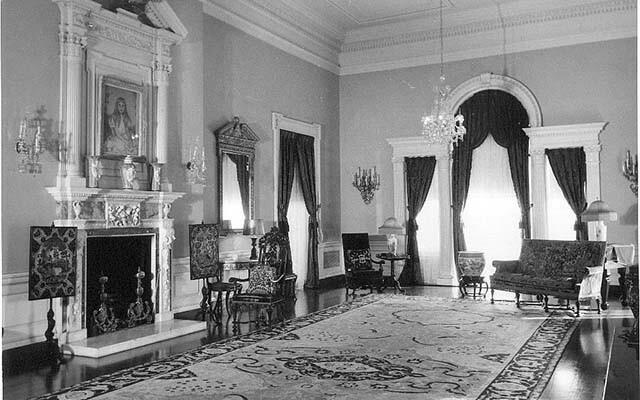 Their daughter, Huldah, would go on to marry Walter Sharp in the Cheekwood Drawing Room. Their son, Leslie Jr., married Mary Tyler Freeman and settled in Richmond, though frequently visiting their Nashville family. Mabel Wood Cheek passed away in 1946 at the age of 72. She left the furnishings, fine art, and family heirlooms to her two children and grandchildren, of Leslie Jr. Huldah, who had settled in Nashville, was deeded the Cheekwood estate, and thereafter lived at Cheekwood with her husband, Walter, and later with their daughter, Leslie. 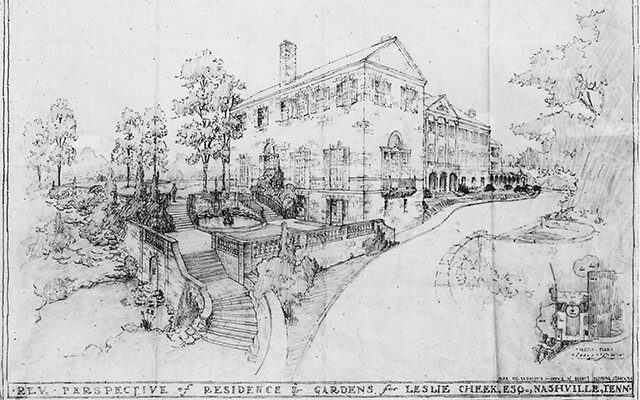 In 1957, Huldah and Walter Sharp offered for Cheekwood, the buildings and surrounding grounds, to become a public garden and fine arts center. 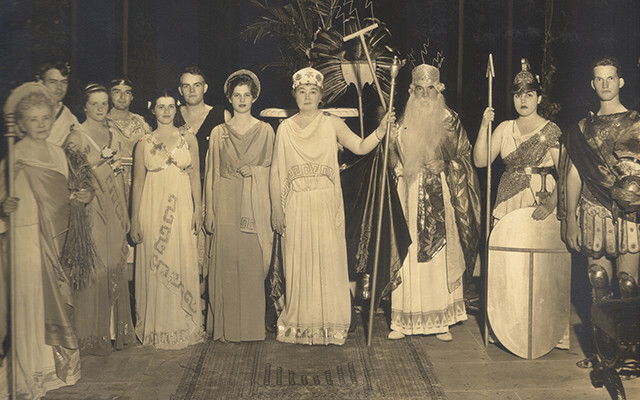 Following the cultivation and fundraising efforts of the Exchange Club of Nashville, the Horticultural Society of Middle Tennessee, and many other civic groups and individuals, the necessary funding was achieved. The pre-existing Nashville Museum of Art had disbanded, and offered the new institution the funds amassed from the sale of the Museum’s building and to transfer its permanent collection to Cheekwood to help establish the new primary destination for visual arts in Nashville. 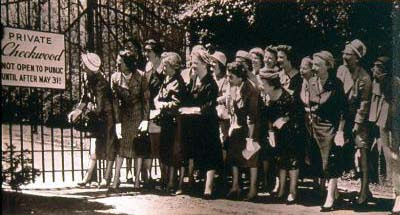 On May 31, 1960, Cheekwood opened its gates and doors to the public.